A memorial service will be held later this month for U.S. District Judge Gordon Thompson Jr., who was best known for presiding over the Mount Soledad cross case in San Diego. Thompson died Sunday of cancer at the age of 85. 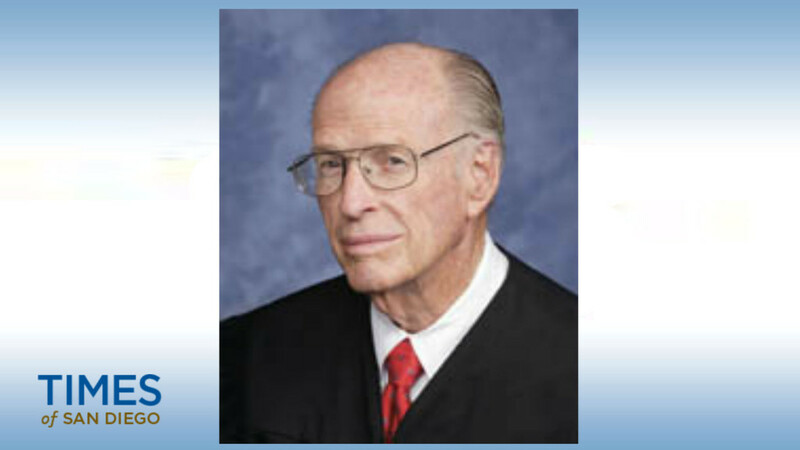 Thompson, the longest-serving judge on the San Diego’s federal court bench, was appointed by then-President Richard Nixon in 1970. Thompson, whose oldest son John Thompson is a Superior Court judge in El Cajon, presided over cases until shortly before his death, Chief U.S. District Judge Barry Ted Moskowitz said in a statement to the San Diego Union-Tribune. Gordon Thompson gained notoriety in 1991 when he ruled that the Mount Soledad cross was unconstitutional and ordered it removed from public land. He continued to preside over the case for years. Thompson — whose father, Gordon Thompson Sr., was presiding judge of the San Diego Superior Court — drew national attention in 1982 when he sent a draft-resister to prison, the first judge to do so since the Vietnam War period. Thompson attended Point Loma High School and was a 1951 graduate of the University of Southern California. He served as a San Diego County deputy district attorney from 1957 until 1960, when he went into private practice. A memorial service is planned for July 28 at 2 p.m. at Point Loma Community Presbyterian Church, according to the Union-Tribune.